The struggling auto maker, surviving on a government lifeline, is looking to generate enthusiasm for its increasingly uncertain future ahead of the New York auto show this week. GM has slashed product-development programs, advertising and spending on auto-show events. 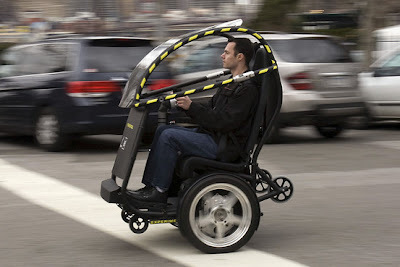 But it will take to the streets of Manhattan on Tuesday to show off a prototype of the vehicle, called PUMA, for Personal Urban Mobility and Accessibility.